Ford Motor CEO Alan Mulally, the man credited with turning around the once-troubled automaker, will retire from the company on July 1. Mulally will be succeeded by his No. 2: Mark Fields, who has been widely seen as CEO-in-waiting since he was promoted to chief operating officer in November 2012. The departure of the 68-year old Mulally, announced Thursday, is not a surprise. 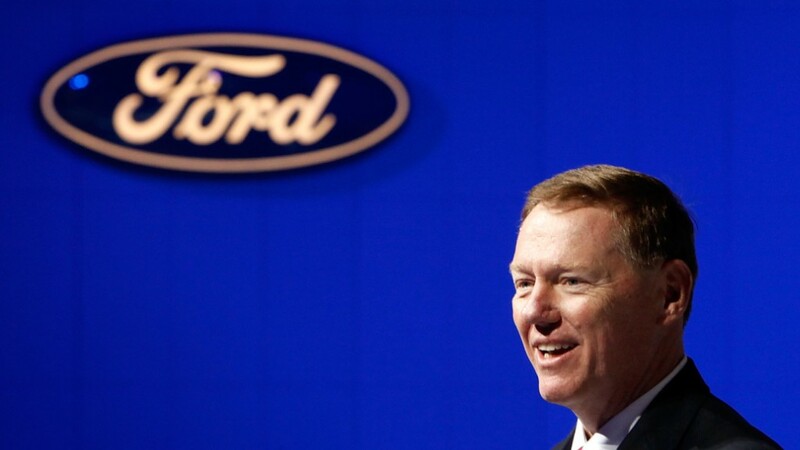 When Fields, who is 53, was tapped as COO, Ford announced that Mulally would be staying as CEO until "at least 2014." "I suppose this is not a terribly well-kept secret," said Ford Chairman Bill Ford Jr., in announcing the move. 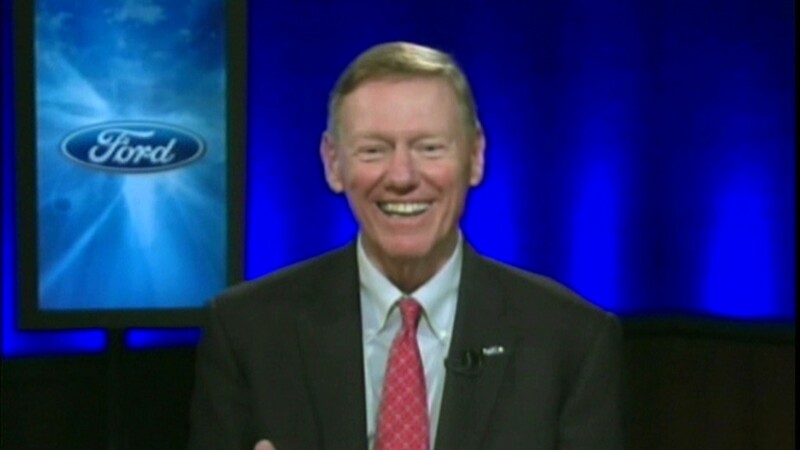 He described Mulally as a "hall of fame CEO." Mulally, who was widely reported to be the top contender for the CEO spot at Microsoft (MSFT) late last year, wouldn't rule out taking the top job at a new company, saying he hasn't decided what he is going to do next. "That retirement thing sounds a little bit good too," he said. He will also be leaving the Ford's board with his retirement. Mulally was recruited to Ford in 2006 from Boeing (BA), where he was in charge of its key commercial aircraft business. At the time, Ford was the most financially troubled of the U.S. automakers. Mulally shed weaker brands, such as Volvo, Land Rover and Mazda. The biggest gamble he took was mortgaging many of the company's assets, from its productive factories to its iconic blue oval logo. He referred to the move Thursday as a "$23.5 billion home improvement loan." The borrowing was designed to give the company enough cash to revitalize the lineup of its core Ford brand. But it also allowed Ford to ride out the recession and avoid the bankruptcy and subsequent bailout that wiped out shareholders at General Motor (GM)and Chrysler Group in 2009. Mulally was asked Thursday at Ford's announcement if, during those dark days in late 2008 or early 2009, he ever thought Ford might have to file for bankruptcy. "No," he said simply, prompting loud applause from Ford employees in the room. Since then, Ford (F) has come back stronger than ever. It earned $7.2 billion in 2013. Profits were healthy enough to pay all the hourly factory workers a record profit-sharing bonus of about $8,800 each. The company recaptured its position as the No. 2 automaker in terms of U.S. sales from Toyota Motor (TM), behind only GM. Last year it gained more U.S. market share than any other automaker. Fields was also centrally to the turnaround efforts. "Mark has been Alan's partner every step of the way," Ford said Thursday. He said the Ford board did consider outside candidates for the post but quickly settled on Fields. "I have nothing left to teach him," Mulally said. Fields was tapped as COO in late 2012, and since then he has been leading the company's weekly meeting of top executives. The meeting, which Mulally established and used to run, has been widely credited with changing the culture within Ford. Previously, different units of the company had been operating separately and sometimes at odds with one another. A year before Mulally's arrival, Fields was tapped as president of Ford's operations in North and South America. His first task in the new job was coming up with a plan to close 14 plants in North America and trim up to 30,000 jobs. Fields has experience outside Ford's home market as well, having served as executive vice president of European operations and president and CEO of its Mazda brand.